Trusted LASIK Surgeons launched its revolutionary Trusted LASIK S'urgeons directory service and website at http://www.TrustedLASIKSurgeons.com in order to provide a resource for consumers seeking to improve their vision. What sets the Trusted LASIK Surgeons directory apart is a unique screening process ensuring that only those who are among the best in LASIK Eye Surgery, Laser Surgeons in the United States are listed. Refractive eye surgeons, such as Dr. Michael Raizman, are screened based on their experience, research, publications, lectures and patient care standards. Trusted LASIK Surgeons believes Doctor Raizmans experience, research, teaching, and other professional accomplishments place him among the top 1% of LASIK surgeons in the United States. Dr. Raizman's refractive practice at Ophthalmic Consultants of Boston serves the greater Boston area with offices in Boston and Waltham. We are honored and pleased to have him among the outstanding surgeons in our LASIK directory. 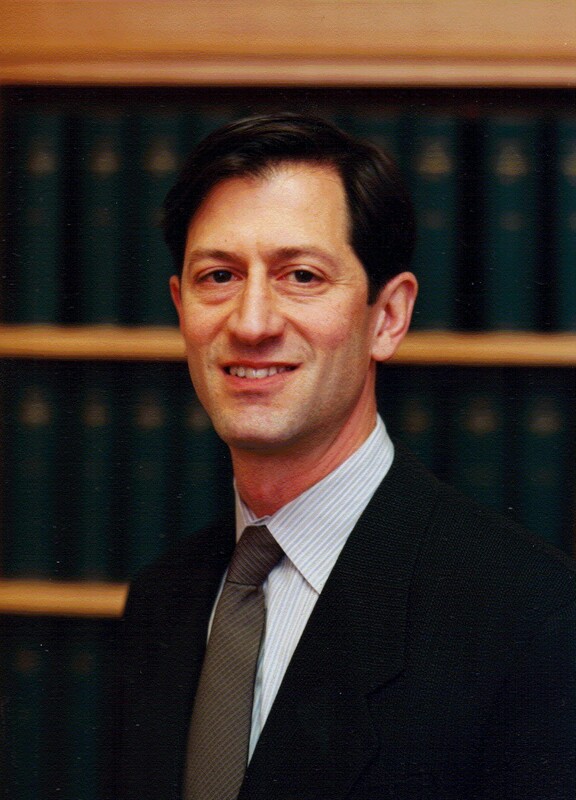 Trusted LASIK Surgeons is pleased to welcome Boston LASIK eye surgery expert surgeon Michael Raizman, M.D. to its LASIK Surgeons Directory. The Trusted LASIK Surgeons directory seeks to list only those LASIK Surgeons who are among the best in the United States by screening refractive surgeons based on experience, premier patient care, and professional accomplishments. Dr. Raizman's contributions to the field of refractive eye surgery in research, teaching, and professional achievements as well as his experience, distinguish from most LASIK Surgeons in the United States. Dr. Raizman is head of the Cornea Fellowship program at Tufts Medical Center and Ophthalmic Consultants of Boston; this program offers ophthalmologists who plan to specialize in Cornea a one year fellowship. During the course of his 17 year career in refractive surgery, Dr. Raizman has performed thousands of laser vision and other refractive surgery procedures. He has been a principal investigator for several FDA studies as well as a co-investigator on several other studies. He has teaching appointments at both Harvard Medical School and the Tufts Medical Center. Dr. Raizman has published extensively, having authored over 60 peer-reviewed scientific journal articles and 21 textbook chapters and textbooks. He also serves in an editorial capacity on the Archives of Ophthalmology and as an ad hoc reviewer for many others refractive and ophthalmology journals. In addition, he has presented over 350 lectures on research topics at major meetings of his peers. Michael Raizman, M.D. has been recognized as one of the Best Doctors in America, one of the "Best Doctors in Boston" by Boston Magazine, and is included in "Who's Who in America". These collective achievements have earned him the respect from his fellow eye surgeons throughout the world. Dr. Raizman is active in professional societies and organizations, including the American Academy of Ophthalmology, who has presented him with the Honor Award and a Senior Achievement Awards, the International Society of Refractive Surgery, the American Society of Cataract and Refractive Surgery, as well as many others. He is active in local professional organizations including the Massachusetts Medical Society, Massachusetts Society of Eye Physicians and Surgeons and the New England Society of Ophthalmology. Board certified by the American Board of Ophthalmology, he also serves as an Associate Examiner. Ophthalmic Consultants of Boston, where Dr. Raizman practices, serves the greater Boston area with offices in Boston and Waltham. Patients throughout New England, the rest of the United States and even from foreign countries visit Dr. Raizman for their vision correction care. Ophthalmic Consultants of Boston is one of the leading providers of eye care in the nation and offers comprehensive and premier patient care. Dr. Raizman treats patients who have a variety of vision problems including nearsightedness (myopia), farsightedness (hyperopia), astigmatism (blurred vision), presbyopia, and cataracts provides a full range of treatments--not just LASIK and PRK (laser vision correction), but also, limbal relaxing incisions, cataract lens implants, and premium lens implants such as Crystalens Rezoom, ReStor, ICL, and clear lensectomy. Ophthalmic Consultants of Boston uses the most modern equipment, including the Intralase system for "All-Laser" or "Bladeless" LASIK and Wavefront Based ("Custom") LASIK and PRK. Ophthalmic Consultants of Boston was one of the first centers to offer i-LASIK Diagnostic instrumentation includes the Pentacam and Visante systems. New patients who suffer from problems from a procedure performed by another eye doctor often select Dr. Raizman to help manage and treat their complications. Not surprisingly, other doctors and eye specialists come seek his expertise for their LASIK or other refractive procedures. "Dr. Raizman has made major contributions to ophthalmology, not just in the area of laser vision correction through his FDA studies and research, but also in cataract surgery. His research publications about reducing complications of cataract surgery by adding postoperative drops to reduce swelling in the retina has helped patients across the world," continued James J. Salz, M.D., CEO of Trusted LASIK Surgeons. "We are honored and pleased to have him among the outstanding surgeons in our LASIK directory." Trusted LASIK SurgeonsAn online resource for consumers seeking better vision through LASIK and other refractive surgery procedures. Boston Lasik Eye Surgeon Michael Raizman, M.D.LASIK expert surgeon Dr. Michael Raizman of Ophthalmic Consultants of Boston has extensive qualifications that we estimate place him among the top 1% of refractive eye surgeons in the United States. Dr. Raizman offers a full range of vision correction surgery options, including laser vision surgery and lens implants.